In his later years, Carl Jung became a genuine mystic and contemplative. His theories of psychology eventually superseded the purely cognitive and reached in to the existential. 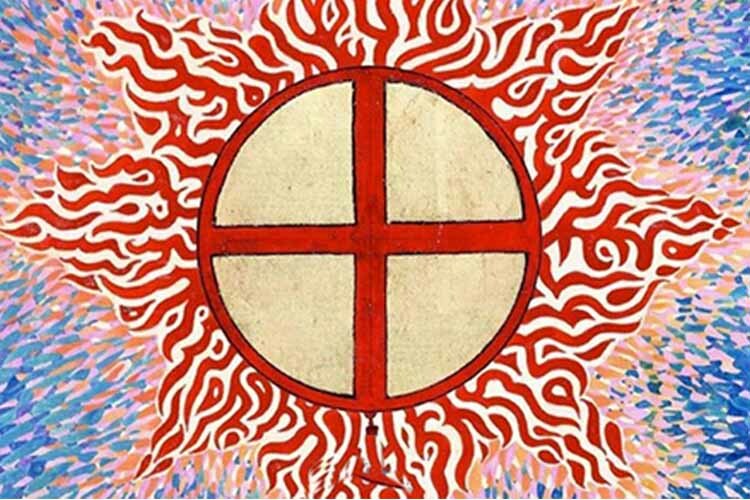 In his metaphysical journal that would come to be called The Red Book, Jung explored beyond the depths of the human psyche and into the eternal self, seeking the potential of individual humans and the interconnected humanity. What is important and meaningful to my life is that I shall live as fully as possible to fulfill the divine will within me. This task gives me so much to do that I have no time for any other. Let me point out that if we were all to live in that way we would need no armies, no police, no diplomacy, no politics, no banks. We would have a meaningful life and not what we have now—madness. What nature asks of the apple-tree is that it shall bring forth apples, and of the pear-tree that it shall bring forth pears. Nature wants me to be simply man. But a man conscious of what I am, and of what I am doing. God seeks consciousness in man. This is the truth of the birth and the resurrection of Christ within. As more and more thinking men come to it, this is the spiritual rebirth of the world. Christ, the Logos—that is to say, the mind, the understanding, shining into the darkness. Christ was a new truth about man. Mankind has no existence. I exist, you exist. But mankind is only a word. Be what God means you to be; don’t worry about mankind which doesn’t exist, you are avoiding looking at what does exist—the self. In his transcendental thoughts, Jung points out that each of us has a divine potential that is at the core of our being. The autonomy of the individual is merely an illusion – we are in actuality manifestations of the cosmic Christ and any individualistic tendency comes from a fissiparous human propensity. Were we to awaken to the cosmic Christ and our own “divine will within,” peace and harmony would become the norm both in society and within our own souls. While some are obsequious in their literal interpretation of scripture, I have an occasional tendency toward brash skepticism at most, or an intentional awareness of its metaphorical and allegoric nature at the least. This is not to say that I do not “believe” in scripture, but I believe the way it has been interpreted and handed down over the years by mostly caucasian males has, in many ways, marred it’s true beauty and the divine imprint upon it. The Trappist monk, Thomas Merton, spoke of the human conditioned inclination to ignore our true self and choose to make excuses rather than become who we were meant to be. Many times, we even sabotage ourself and make ourselves into victims who are somehow prevented by ill-intentioned people that prevent us from attaining our true potential. In reality, we fear what we do not understand and would rather not know who we are supposed to be, let alone live into that reality. Perhaps I am stronger than I think. Perhaps I am even afraid of my strength, and turn it against myself, thus making myself weak. Making myself secure. Making myself guilty. Perhaps I am most afraid of the strength of God in me. Perhaps I would rather be guilty and weak in myself than strong in Him whom I cannot understand. The only way that we can discover our true selves and experience the resurrection of Christ within is to sit with ourselves in the silent stillness and ask ourselves the powerful questions that we are afraid to answer. Who am I? What is my deepest passion? What gives me joy? If my life were ideal, what would it look like? What is preventing me from becoming who God wants me to be? What am I afraid of? Ask these questions and you will find that the answers were there all along. Live those answers and you will finally become who you were meant to be. When the path seems daunting and fear wracks your mind, just tell yourself that “I can do all things through Christ who strengthens me” because indeed, it is the potential that has existed within you since before you were born. Claim it for your time for resurrection is now.